About | Is writing your passion? I will call myself Sahara because it is fanciful and imaginative, like a name I might choose for my next leading female character. 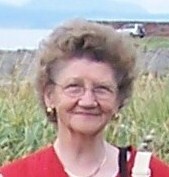 I come from South Ayrshire, am a retired school teacher, have a son and a daughter and five grandchildren. Writing is my way of knowing I’m alive. When I’m churning out dialogue and script, I’m giving a piece of myself to the world, without realising it. I’ve had letters and stories published in magazines, but the tender stories that were rejected by woman’s magazines were made into booklets for sale, rather than see them shredded and put in a bin. ‘The Protector’ was a novel no-one wanted to publish, so I took up an offer to have three books printed on demand, but I didn’t have enough experience at that time to buy an EBSN number. Also ‘Too Hot to Handle’ and Love should Last for Ever’ were of no interest either. I liked to read crime stories and Henning Mankell struck me as an author I could take lessons from. It seemed that there was always a dead body at the beginning of the story and I liked the detective who had personal problems. This led to my next novel which I completed and self-published under the pen name of Sarah Wallace. Now I’ve finished my second one and am ready to do the same again. One thought occurs to me – Do I want the same journey again? Writing is an adventure. I love it, but one must extend one’s experience and find new ideas for stories. Amazon kindle store. Thank you for your interest. Hello Sarah. Missed you at Swanwick last week. Your table friend. Joanna from Leeds.